On Thursday 24 September 2015, Boat International held a glittering party during the Monaco Yacht Show 2015. 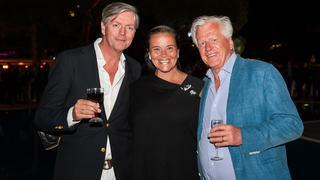 Owners, designers, builders and other industry professionals came together to celebrate the first anniversary of Boat International's stylish relaunch and toast another brilliant year for the superyacht industry. Proceedings were helped along by a number of luxury sponsors, including platinum sponsor Embraer Executive Jets, Van Berge Henegouwen, Esenyacht, Hugo Boss, Silver Arrows Marine and Zorab Insurance, while displays included a Mercedes-Benz S-Cabriolet car, pieces from the Maybach Icons of Luxury collection, Foil skis and furniture from Sabrina Monte-Carlo. On Thursday 24 September 2015, Boat International held a glittering party during the Monaco Yacht Show 2015. 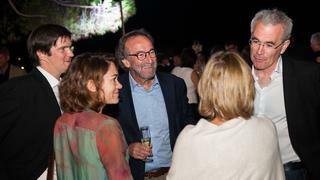 Owners, designers, builders and other industry professionals came together to celebrate the first anniversary of Boat International's stylish relaunch and toast another brilliant year for the superyacht industry. Proceedings were helped along by a number of luxury sponsors, including platinum sponsor Embraer Executive Jets, Van Berge Henegouwen, Esenyacht, Hugo Boss, Silver Arrows Marine and Zorab Insurance, while displays included a Mercedes-Benz S-Cabriolet car, pieces from the Maybach Icons of Luxury collection, Foil skis and furniture from Sabrina Monte-Carlo. 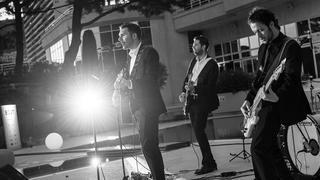 The party was held on a stunning outdoor terrace at Le Meridien hotel in the heart of Monaco. Guests mingled and old friends caught up over a glass of Champagne before the band started up to provide a little live entertainment for the evening. 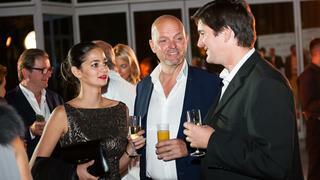 Designer Tim Heywood (centre) with his partner Vanessa (L) and James Carroll of Andrew Winch Designs. Sylke Auf der Graben of Lurssen (centre left) and Fiona Diamond of Seymour Diamond (centre right) with guests. 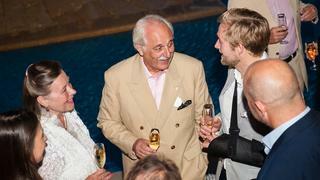 Sietse Koopmans (centre) with Gael Douguet of JFA Yachts (R) and guest. 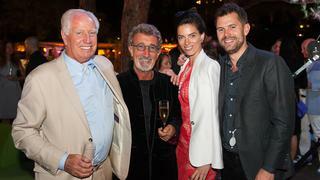 Superyacht owner Neville Crichton (L) with Eddie Jordan and Jordan's daughter and son-in-law. Gael Douguet (L), yacht designer Rob Humphreys and Frédéric Jaouen of JFA Yachts (R).